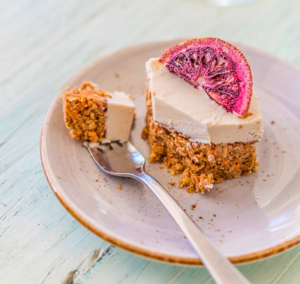 Sydney-based entrepreneur Shannon Rosie Barge is successfully spreading her insight and creative life hacks on maintaining and balancing a healthy lifestyle. 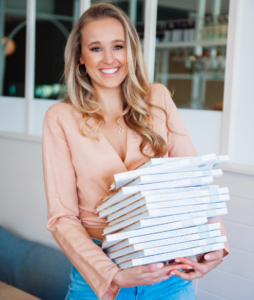 With an online shop, a self-published book, and a new health-conscious restaurant Rosie’s, Shannon has truly established herself as a successful and hard-working entrepreneur in the nutrition field (and did I mention she’s only in her twenties?). 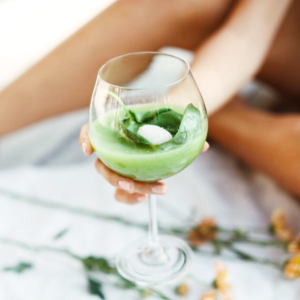 Nutrition and well-being is a very popular niche for Instagram influencers and young entrepreneurs; especially in Australia where the trend of clean eating has become embedded within our overall lifestyle and culture. For Shannon, her passion for nutrition and well-being was sparked due to her own personal struggles with health. At just 3-years-old, Shannon learned she had a skin disorder. Mainstream medicine was unable to cure her, and after finally visiting a naturopath as a last resort, the rash was gone within a week. After self-publishing her book, Conscious Cocktails, Shannon has proven her clear vision and take on the concept of clean drinking. The tagline – “cheers to balance!” – says it all. In a world where our mantra is green smoothies and pilates, Shannon wonders: why do we straight away go for the sugary cocktails and crappy junk food as soon as 5pm ticks over on a Friday? This is why we need to learn the art of clean drinking and say hello to Conscious Cocktails. It’s not all sunshine and rainbows when it comes to the process of publishing a book, whether that’s self-publishing or deciding to go with traditional publishing – both processes are riddled with high pros and low cons. Shannon says that self-publishing her book was both “extremely difficult but absolutely awesome”. 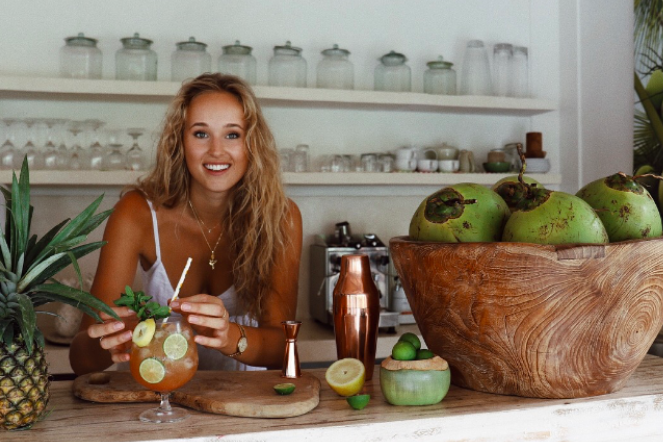 Living in Bali at the time, Shannon says she was constantly brainstorming, photographing, and of course – my personal favourite part of the process – testing some delicious cocktails! 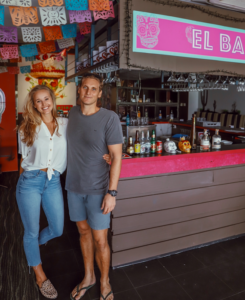 Moving forward, the building and creation of their restaurant Rosie’s was a roller coaster of a journey for Shannon and her business partner (slash real-life partner). Shannon recounts that this project was the most challenging of them all. 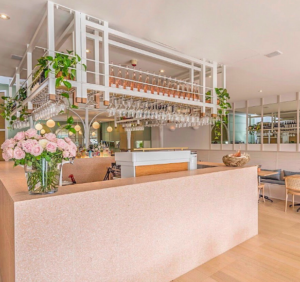 As soon as she left Bali and landed in Sydney, it was all hands on deck and they dived right into renovations in Coogee, where Rosie’s was born. There were highs and lows, but Shannon says, in the end, it was all worth it. Working with her real-life partner as business partners was actually very refreshing and incredibly special for Shannon. She loved it! But she knows that it isn’t for everyone. Hell, most of us would’ve had thirty arguments with our bf’s just on coming up with a name for the business. Shannon’s online shop Living With Rosie offers products for sale, programs to reach that perfect health balance in your life, and of course her book Conscious Cocktails. There are two Living with Rosie programs up for grabs – one is The Good Gut Guide, and the other is Lighten Up. With this program, Shannon teaches anyone who wants to learn about gut health, growing a stronger immune system, and refraining from adding on kgs. The Lighten Up program shares insight on a lighter and healthier lifestyle. To wrap up, I asked Shannon what the pros and cons are for creating your personal brand and business brand. For every young person who thrives to become an entrepreneur, keep reading! Shannon explained that the fun bits are being able to work your own hours and have complete creative freedom. No one rules over you; it’s utter independence. Shannon also recalls finding it quite hard to be the face of your own brand at times. Whether you’re into nutrition and well-being, motorsports, fashion and beauty, or wacky food recipes, any of this can apply to you when it comes to building a brand. Have some fun with it and enjoy creating!